Today, the third and final part of the “living in Thailand for golf” series will cover Thailand car options, Thailand schools, and for those of you who like pets: how to bring your dog or cat to Thailand? Bringing your car to Thailand is not a good idea. Cars can be shipped, but it very expensive. A more practical solution for getting wheels in Thailand is to rent, lease or buy your own car. Buying a car is around 10% more expensive than in Europe or the USA. I recommend that you look at the new Toyota Fortuner, an excellent SUV and the first automobile designed in Thailand. A popular choice for a sedan is the Toyota Camry. The new model resembles a Lexus and has many standard features of its more expensive cousin. If you are an outdoors type person and like trekking in the countryside you could also consider a pick up truck. Popular models are available from Isuzu, Mitsubishi, and Toyota. Driving in Thailand is a lot easier for you if you have an automatic transmission, especially if you will live in one of the main golf destinations like Bangkok, Chiang Mai,or Phuket. Whatever car or truck you chose make sure you purchase first class insurance, which runs about US$600 per year. That way you will be fully insured, whether any accidents are your fault or not. If you have small children, their schooling is a prime concern when moving to Thailand. Most expatriate children attend an international school which follows the International Baccalaureate (IB), American, or British curriculum and classes are held in English. There are 75 accredited international schools in Thailand to choose from and an up-to-date list can be found at, the International Schools Association of Thailand (ISAT) website. Full disclose of school accreditations, size, school age, students age range, fees, and a short summary on each school is given to help narrow down choices. Once a short list of schools is decided upon, I suggest visiting each one to make a final decision as to which facility is best suited for your children, In my personal case, we have selected the New International School of Thailand (NIST) for our son. Should you want to bring the family pet with you, this is not a problem. There are two possible ways for you to do so. 1. Use a specialist agent to send your pet as freight. 2. Bring your dog or cat with you as accompanied baggage. Either way, your pet must be shipped in an approved air pet kennel. Also, you need an import permit from Thailand and if you use an agent, they will obtain this on your behalf. Finally, you must also have a health certificate from your home country. This will avoid any quarantine and allow things to go smooth. I hope this information is useful for those thinking about making their golf dream a reality and taking the plunge to relocate to Thailand. 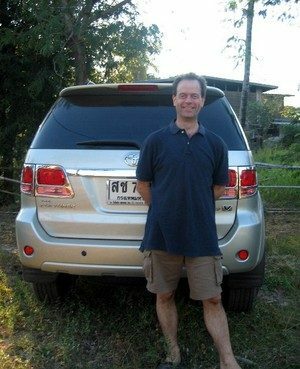 As before, any recent experiences or questions related to moving to Thailand are welcome. Please feel free to post a comment or drop me an email at my Thailand golf vacation company.